Home Tags Articles tagged with "Legislature"
HB2002 is a response to calls from parents and teachers to end political activism in the K-12 classroom. Parents expect teachers to teach, not to indoctrinate. There is a teachable moment here. Contrary to what leftist political pundits and apologists for injecting politics everywhere assert, we employ teachers to inspire curiosity in science, and to foster competency in reading, mathematics and writing, not to promote ideological obedience. In essence there is an agency relationship created in the employment relationship. The claim that HB2002, pre-filed for the 2019 Legislative session, silences the First Amendment right of teacher free speech is a false claim, fabricated for headlines. The claim is unfounded, and actually runs counter to the 2015 9th Circuit Court of Appeals ruling in Arce V. Douglas. In Arce, Judge Wallace Tashima ruled, “state limitations on school curricula that restrict a student’s access to materials otherwise available may be upheld only where they are reasonably related to legitimate pedagogical concerns—especially in a context such as this, where the local school board has already determined that the material at issue adds value to its local school curriculum. Granting wider discretion has the potential to substantially hinder a student’s ability to develop the individualized insight and experience needed to meaningfully exercise her rights of speech, press, and political freedom. Pico, 457 U.S. at 867,” (Tashima, 2015, Pg. 27, Pa.1). In short, teachers are not permitted to evangelize their personal political positions, but must teach narrowly to the approved curriculum. I respect teachers and the teaching profession. Teachers play a critical role in our society; they are often trusted advisors, mentors and influencers of the next generation of leaders, and society at large. It is shocking that individuals occupying positions of trust in the eyes of parents and our children, object to standards of professional conduct. Professionals including attorneys, accountants, realtors, architects and even journalists subscribe to their respective Codes of Ethics. It sets these vocations aside as professions. As professionals, teachers should follow the lead of most other professions and embrace a code of ethics. Professions adopt Codes of Ethics, to promote credibility for their practitioners. Such a “Code” is significant as an acknowledgement that the professionals in their ranks conduct themselves in such a way as to elevate the work they do beyond a task. A code of conduct that governs the work that one will do, how they will do it, and the line that one will not cross in the course of exercising their craft, is what defines value. Those who oppose ethics in the classroom claim there is no political indoctrination, so if that is indeed the case then there should be no fear of a Code of Ethics that holds people accountable for the expectations set by their principals in the agency relationship, in this case the parents of the children they are entrusted to teach. Herein lies the crux of the matter, parents expect teachers to teach, not to indoctrinate by way of their own political persuasions. We employ them to inspire curiosity and learning, not obedience to a specific ideology. Recall the lessons from Animal Farm and Lord of the Flies; such books reveal the cost of teaching obedience over standing for freedom of thought. The K-12 classroom is not an ideological playground for adults, and our children are not their political play toys. Parents are walking away from public schools at an increasing rate, and giving many reasons. This is one of their major concerns. I encourage political engagement, I encourage political speech, just not in the classroom. Like religion, teachers must remember, their customers – parents – often have a different worldview that must be respected, lest public schools become irrelevant. For those who can’t show the professional discipline necessary to leave their political speech out of the classroom, they need to find another job. After Tuesday’s Primary Election, the General Election for State House of Representatives (LD11) is shaping up. Three Republicans and three Democrats are running for the two seats. Incumbent Mark Finchem (43 percent) and Bret Roberts (37 percent) currently lead the Republican race to the state house, according to early counts from the Secretary of State’s Office. Howell Jones, a self-branded outsider, trails the pack with more than 5,000 votes being reported (18.87 percent). Finchem said he’s not surprised by the early vote count – both in his primary and others. “What is not surprising as I look at results across the board, it looks like people are enjoying the fact that our economy is doing much better with the change of federal administration, and now with our tax policies kicking in here at the state level over the last four years, life is much better for a lot of people. So, I think the early voting is telling me that’s a vote of confidence,” Finchem said. With fewer than 30,000 votes tabulated in the Republican primary so far, Roberts, who is current constable of Maricopa/Stanfield Justice Court, was hesitant to call the count a primary win just yet. “There’s still a lot to be reported, but at this point I’m very happy looking at all the numbers in the primary, not only on the Republican side but on the Democrat side,” Roberts said. Candidates Hollace Lyon (44.48 percent) and Marcela Quiroz (41.57 percent) appear to have easily come ahead of fellow Democrat Barry McCain (13.94 percent). Quiroz chose caution over celebration after a read of the early votes, while Lyon said she’s ready to campaign in the general election. “I think it’s interesting that Mark Finchem and Bret Roberts are so close in their numbers, so that tells me that I think I can beat one of the two of them and win a seat in the Legislature,” Lyon said. Should voters know the political party affiliation of their city council members? A bill recently introduced in the state Legislature could turn local elections partisan. Introduced by Rep. Jay Lawrence (R–District 23), House Bill 2032 would require cities and towns to print candidates’ party designations on ballots for mayor and city council elections. Local leaders expressed opposition to the proposal, arguing city policies are nonpartisan in nature. It’s not the first time a bill for partisan city elections has been proposed by the Legislature. Price said, if passed this time, the bill would give undue power to the party system. “I encourage the voter to figure out who they’re electing and why, and not just [look] at an ‘R’ or a ‘D.’ While that’s helpful, it’s not always as helpful as they’d like to think it is,” Price said. Councilwoman Julia Gusse, a registered independent, agreed, pointing out candidates do not always vote along the lines of their registered parties. “Democrats and Republicans are not monolithic; not all Democrats are pro-choice, just like not all Republicans are fiscally conservative,” Gusse said. Gusse said an informed voter in a non-partisan election will know the party where a candidate most likely aligns. Gusse said she fears partisan elections could also influence candidates to rely solely on a party designation to win office. “I want individuals to earn their seats and I want to be elected because people voted for me, not the letter next to my name on that ballot,” Gusse said. Councilmember Vincent Manfredi said the bill serves no practical service to residents. Though the election is 17 months away, several Arizonans are lining up to run for the state Legislature, including a former Maricopa City Councilman. Already, Bridger Kimball, a Republican, and Barry McCain, a Democrat, have filed political committees in preparation for campaigning for a House seat in 2018. State Sen. Steve Smith’s announcement he will challenge Rep. Tom O’Halleran for his seat in the U.S. Congress was the harbinger of shifting within Legislative District 11, which includes Maricopa. The district’s current contingent is Smith in the state Senate, and Vince Leach and Mark Finchem in the state House. All are Republicans. While Finchem, who lives in Oro Valley, has filed a committee to run for re-election, Leach has shifted his intentions to the state Senate. That leaves one representative seat wide open. Leach said despite his work in the House, he is more familiar with the Senate side because his introduction to the Legislature came in 2009 when he worked with then-Sen. Al Melvin’s office to get an investment law changed. Leach said he thinks it is important for the GOP to “retain and represent LD11 in a manner Steve brought to 11 and before that Sen. Melvin.” He said his party is actively “looking for and looking at” potential candidates to fill the House seat he would vacate. He said he has not yet spoken to Kimball. 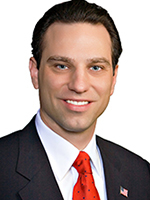 Kimball was most recently a member of the Maricopa City Council, losing his bid for re-election in November. A former Marine, he owns Caswells Shooting Range in Mesa. During the last legislative election, McCain ran as a write-in. He is a Navy veteran from Casa Grande. Filing a political committee with the Secretary of State’s office is the first step to becoming a candidate. Official nomination forms cannot be filed until May 2. Kimball did not return calls seeking comment. Now that the 2017 legislative session has just begun, I want to take this time as I normally do to involve you, my constituents (aka my bosses), in what is happening at the Senate and in Arizona. First though, I want to express my sincere gratitude for trusting me to once again serve our community as our Senator, it is truly and honor and one I do not take lightly, so thank you. Next, I am pleased to tell you that was announced as the Chairman of the Commerce and Public Safety Committee in the Senate, so all issues relating to the economy, economic development, law enforcement, the military, etc. will be coming through my committee. In addition, I serve on the Education Committee and the Appropriations Committee (i.e. all things relating to spending and the budget), so it will be a very exciting session indeed! That being said, much of the legislation I typically run comes directly from ideas from concerned citizens, so if you have a suggestion as to something you would like to see Arizona do (or not do), please email or call me as your input is very valuable. Second, if you want to be able to follow more closely as to what we are doing day to day in the Senate, sign up for my weekly email list where I compile every bill that will be heard in every committee in the upcoming week. The reason I do this email list is that if you find there are bills of interest to you, you now will hopefully have time to comment on them, to come to the Capitol to speak about them, or to simply get involved any way you want. Far too often I would hear from constituents that if they had known a certain bill/issue was being considered, they would like to have had the opportunity to weigh in on it before it was voted on, so this has been a way to help solve that and to simply better inform you in general. Finally, please use me as a resource for help if you need it. I have had the pleasure of assisting dozens of constituents over the years that have experienced problems ranging from Social Security payments to HOA concerns and everything in between. This proves you do not have to be a lobbyist or a political insider to get assistance with an issue, you simply need to reach out to me and my office and I will do all we can to help, so do not be shy to ask, this is why I’m here. Chris Sarappo doesn’t expect to win his race for state representative in Legislative District 11 – he just wants to give voters another option on the ballot. The Maricopa resident and personal trainer at Copper Sky Recreation Center is mounting an independent, write-in campaign primarily on one issue: marijuana legalization. “You can legalize, take it out of the drug dealers’ hands, control it like alcohol and create a huge tax base for the Arizona schools,” Sarappo said. Sarappo, a former behavioral technician in the Maricopa Unified School District, said he knows how little money schools have at their disposal in the state. Taxing marijuana would allow the state to better invest in its schools, he said. “I look at it as you’re either for the drug dealers or you’re for the schools,” Sarappo said. A marijuana legalization measure may be on the ballot in Arizona this fall, as organizers for the Campaign to Regulate Marijuana like Alcohol say they have gathered enough signatures to qualify. Sarappo hails from outside Philadelphia, and he lived in North Carolina for several years. He said the high cost of living in North Carolina led him to search for another place to live. He saw the prices in Maricopa and “couldn’t pass it up,” he said. He moved to the city six years ago. In addition to personal training and his previous job at MUSD, Sarappo has worked as a day trader, a computer programmer and a baseball coach, has written a children’s book and received a real estate license. Sarappo doesn’t have a background in politics, but he said he’s always followed politics closely. He said he now sees a change coming in the political landscape of the country. This change he sees has motivated him to make the jump into politics, electing to join the race for Legislative District 11, which spans from Maricopa down through Arizona City to the northern suburbs of Tucson. Sarappo said he doesn’t know who he’s running against for the post and he doesn’t care. 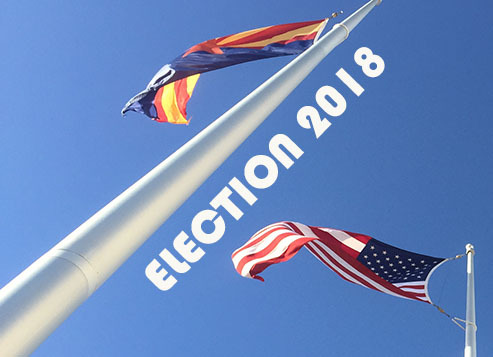 For the record, incumbent state Reps. Mark Finchem, R-Oro Valley, and Vince Leach, R-Saddlebrooke, are running again for their seats in the district against Democrats Corin Hammond and Barry McCain. Voters elect two representatives for each legislative district. On the issues, Sarappo is socially liberal and fiscally conservative. “I’m for doing what you please as long as it’s not affecting others and costing them money,” he said. The main issue he wants to focus his campaign on is legalizing marijuana to raise extra funding for the state’s schools. Sarappo said many of Arizona’s teachers are being driven away to other states or other professions because of how little money is available for them. From his experience at MUSD, he said he knows that the lack of money is burden on school employees. Besides marijuana legalization, Sarappo said his other major cause is the “fair tax,” which would replace current federal taxes with a national consumption tax. When it comes to the presidential election, Sarappo said he would support the Libertarian Party candidate, former New Mexico Gov. Gary Johnson. If he had to choose between real estate mogul Donald Trump and former Secretary of State Hillary Clinton, though, he would choose Trump. The presidential election, though, is part of the reason he’s running, Sarappo said, because it shows that the country has run out of options. His distaste for that current two-party system made his choice to run as an independent obvious. Having a write-in campaign means Sarappo doesn’t need to reach a threshold of signatures to qualify on the ballot, and it also adds the physical act of writing a name, which he said is exactly what he wants. “I would rather have someone write my name in, even if it’s just two people, because it means something, rather than going into a booth and just pushing a lever,” Sarappo said.